DIG IN creates experiences where kids make discoveries, helping them to take ownership of their faith. Simply being TOLD to believe something does not result in a strong and sustaining faith. 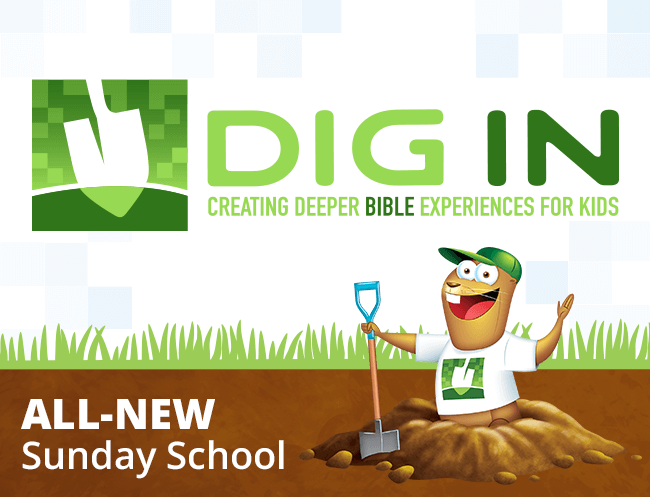 DIG IN presents the Bible as real and relevant. Kids understand the Bible is not full of distant, irrelevant principles, but is packed with rich meaning that applies to their lives today. DIG IN moves kids from knowing about the historical Jesus to knowing him personally and growing in a relationship with him. DIG IN offers multisensory, educationally sound experiences that immerse kids in learning, rather than teacher talk that can result in boredom, disciplinary problems, and disengagement. DIG IN builds in time for kids to talk to each other to process thoughts and concepts instead of only listening. Verbal participation helps to imprint Bible truths and capitalizes on the reality that for some kids “interacting with my friends” is a key motivator to come to church. DIG IN lessons involve interaction, conversation, and storytelling. Kids learn from adults who share their own faith stories, building trust, friendship, and a faith that sticks. 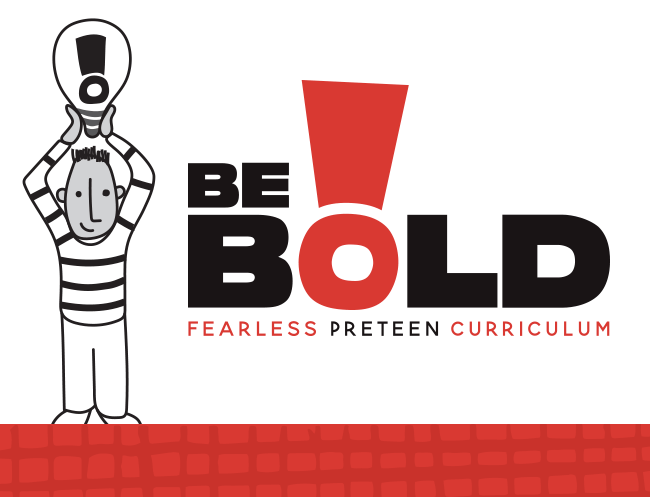 Kids practice relational skills that help them live out their faith beyond the classroom. not avoiding the tough stuff. DIG IN tackles grappling questions head-on in Deeper Bible. This shows kids that no questions or doubts are off-limits. Asking questions grows faith. Jesus was the Master Asker who didn’t fear the tough questions. not asking for expected answers. DIG IN is packed with thought-provoking, Jesus-style questions that challenge kids to truly explore their hearts and minds as opposed to stating the expected answers. Not only will DIG IN make YOU smile, your kids will smile, giggle, gasp, laugh, and be downright delighted with Sunday school. It’s no secret that we learn more when we enjoy the learning process. The experiences will engage kids on their own level and bring them joy. DIG IN is designed so that you can choose activity blocks based on kids learning styles, teacher strengths, classroom time, class format...whatever works with the best of your ministry because you know your ministry best. You aren’t locked into anything other than Bible truth! DIG IN is not about just information, it’s about seeing kids transformed by a real relationship with Jesus, diving deep into what Scripture has to say about their lives.